Richard III was released in the United Kingdom in 1955 and in the United States in 1956. It was the third film that Sir Laurence Olivier produced, directed and starred in based upon the work of Shakespeare. His previous films, Henry V and Hamlet, were both successful and helped to popularize Shakespeare on film, but Richard III really cemented that popularity firmly into place. The film follows the tragic and unsympathetic character’s rise and fall as he kills and betrays many of the people closest to him in order to gain the throne of England. The film was structured almost like a play in a lot of ways, but is also quite cinematic overall. Olivier’s character speaks directly to camera quite often, as if speaking to a live audience, something that had rarely been done in films before. And the most obvious thing that drives Richard III and is the engine of the entire film is Olivier’s performance, which is absolutely mesmerizing, to say the least. Besides that, the film is also jam-packed with acting talent in the background, with many a seasoned veteran chosen to fill most of the secondary roles, as well as some fresh faces. While Richard III may technically not have been a pure adaptation of Shakespeare (very few have been, I’m sure), it definitely stands out as one of the finest. It was a definitive portrayal of the character by Olivier that found its debut theatrically, as well as on TV simultaneously. 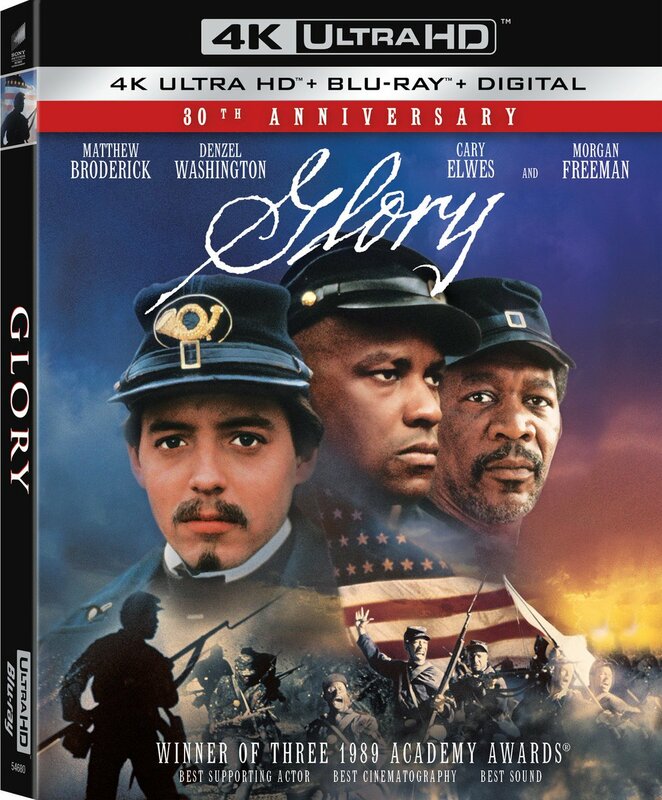 It garnered a large viewing audience on TV, but failed miserably at the box office. Years later it was re-released theatrically and fared much better, and also received better critical acclaim, which it previously hadn’t. The film was beautifully-shot in Technicolor with VistaVision cameras, resulting crisp, colorful images with very lush colors. Olivier’s almost-obsessive eye for detail meant that period colors and textures were to be as authentic as possible, and the cinematography really brings all of that out quite well. Despite the film’s initial lackluster reception theatrically, it is since considered a definitive portrayal of a Shakespeare character. For the film’s Criterion Blu-ray debut, you won’t be disappointed in the least. 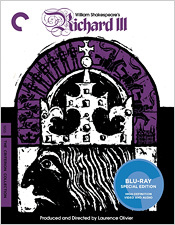 After having gone through a heavy 4K restoration process by The Film Foundation (including the great Grover Crisp), which included restoring the film’s color, reassembling the negative to its proper length and repairing any damage, Richard III on Blu-ray is amazing to look at. The grain structure is perfect, image detail is incredible, colors are robust, blacks are inky deep, skin tones are great, and contrast and brightness are perfect. There are no signs of heavy-handed digital sharpening or clean-up either. It’s a top notch picture all around. The soundtrack, which is a single English uncompressed mono track, is quite good, too. It does tend show its age a bit, but the dialogue is clean and clear, sound effects and William Walton’s score have plenty of room to breathe, and the overall soundtrack is pleasantly stable and even. There are also subtitles in English for those who might need them. The disc’s supplemental features include an audio commentary with playwright and stage director Russell Lees and John Wilders, former governor of the Royal Shakespeare Company; a Restoration Demonstration hosted by director Martin Scorsese; an interview with Olivier from a 1966 episode of the BBC series Great Acting, hosted by theater critic Kenneth Tynan; a stills gallery, accompanied by excerpts from Olivier’s autobiography, “On Acting”; a twelve-minute TV trailer featuring footage of Olivier, producer Alexander Korda and other cast and crew; the original theatrical trailer; and a 16-page booklet with a new essay by film critic Amy Taubin. While it’s hard to say what the future holds, this should be the definitive home video release of Richard III for a good long while. With near-perfect A/V quality and a terrific set of extras, every self-respecting film fan should have a copy of this in his or her video library. Highly recommended!